‘Tis the season for kindergarten orientation. Piper and I went last week. I brought along the 312 pieces of paperwork required for admission into the public schools in Montgomery County. Piper’s doctor, dentist, and therapist (okay, that’s a joke, she doesn’t have a therapist…yet) signed off on her readiness. Piper has been looking forward to orientation for months. She can’t wait to go to the same school as Sissy and walk together every morning. When we arrived, they gave Piper a name tag and took her picture. Then they separated the parents from the kids. Some of the kids weren’t so thrilled about this, but Piper skipped off down the hallway leading the pack and called “Bye, Mom!” over her shoulder. The kids were taken to do “fun” activities, which looked a little like “testing” to me. 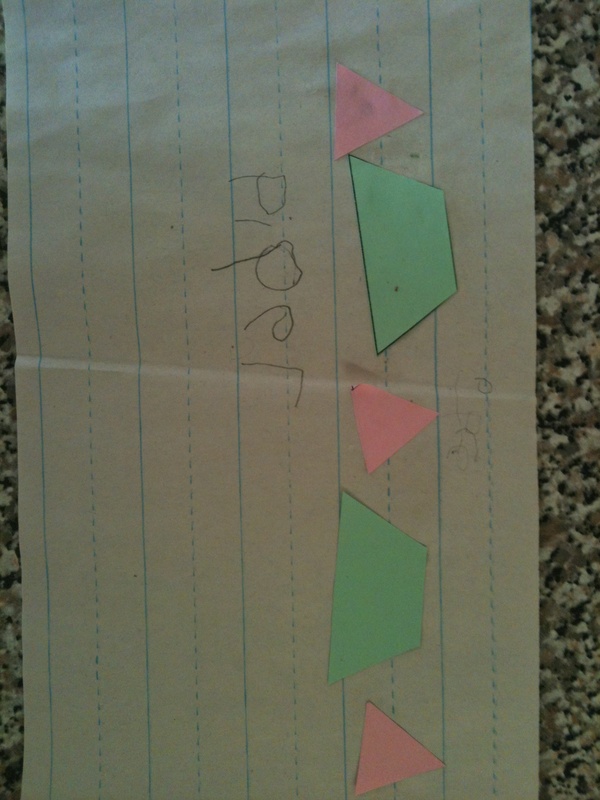 Piper aced the name writing and pattern part. 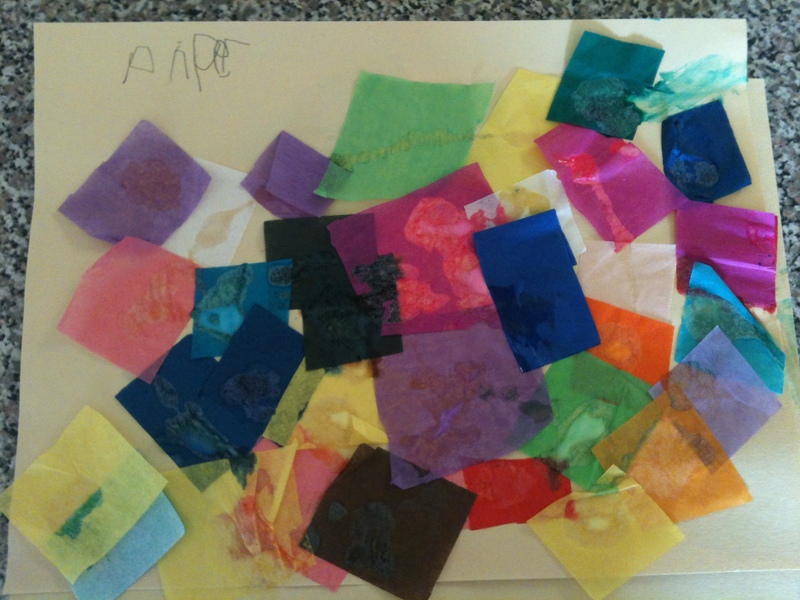 She impressed them equally by debating whether her art was more like Van Gogh or Monet. Hmmm. Once Piper and I were reunited, she declared, “Mommy! Kindergarten is so much fun! Can we do it again tomorrow?” Looks like we’ll be doing it for most of the summer anyway. 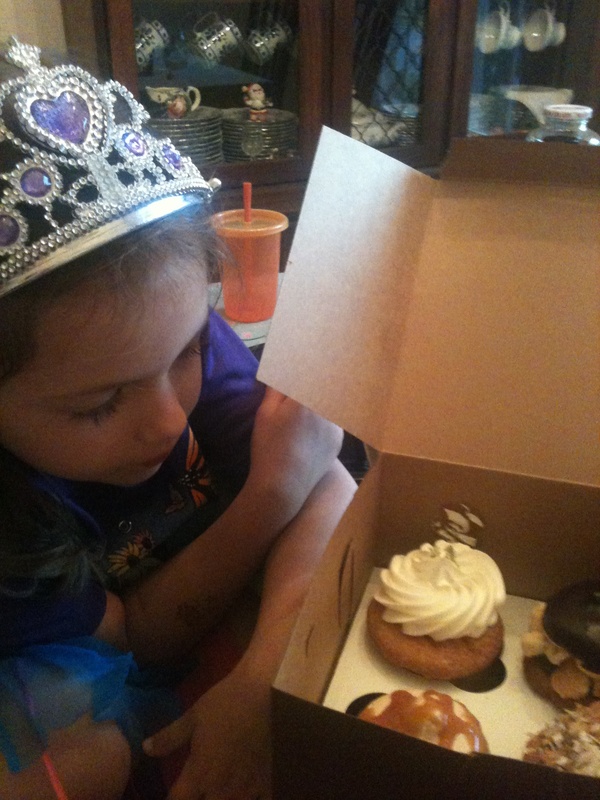 Rather than cancel our summer vacation so we can attend the Summer Academy for Parents, Piper put on her tiara and we went out for cupcakes. She chose a peanut butter chocolate one because it started with P. That may not be Level Four, but it’s yummy enough for me. 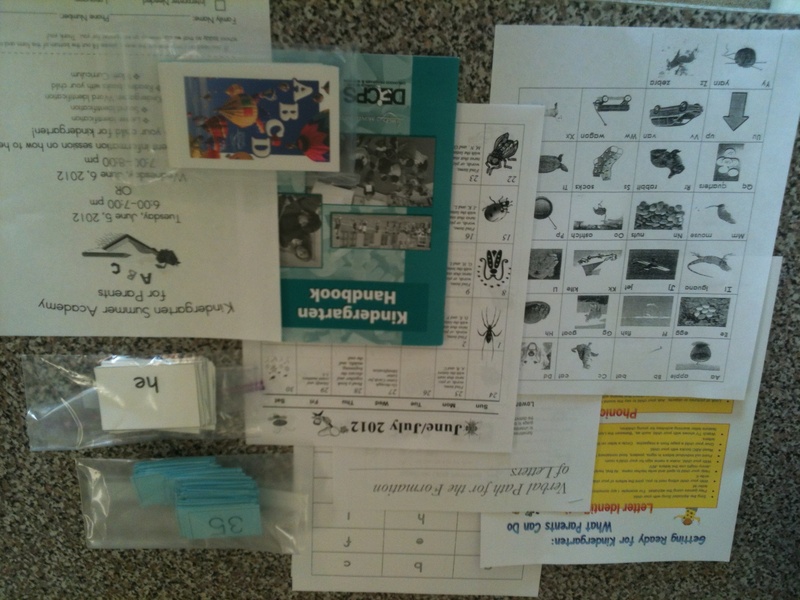 This entry was posted in Daily Dharma and tagged cupcakes, flashcards, kindergarten orientation, kindergarten readiness, parenting, piperism, reading before kindergarten, skill and drill, summer academy by melissa.scholes.young. Bookmark the permalink. I have a friend that is starting kindergarten at CG next year too. Hope she becomes good friends with Piper! We’ll have to get them together, Cheryl. Piper is looking forward to making kindergarten friends.